Beware of these two phone company practices! “Slamming” is the practice of switching a consumer to a new long distance phone company without their permission. Victims of slamming are likely to see substantial increases in their long distance phone bills. Slammers put their victims on their highest priced plans, even if they routinely advertise lower rates. 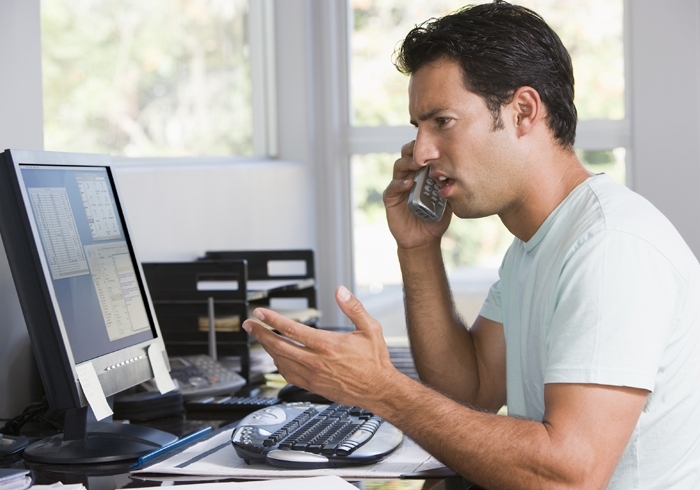 One way to discourage slamming is to request a separate bill from your long distance company. AT&T and Frontier, the local phone providers for most Californians, contract with long distance companies to do their billing for them, and many customers may like the convenience of having just one bill. But that convenience means that victims of slamming who dispute erroneous and inflated charges from slammers risk disconnection of long distance service. Former CPUC policy permitted local phone providers to disconnect local service for non-payment of toll or long distance charges. That meant if you didn’t pay charges you disputed, and the dispute entailed lengthy negotiations with a difficult to reach, fly-by-night phone company, your phone could be shut off because you refused to pay a fraudulent charge. Slammers take advantage of customers’ failing to read their bills, or being so confused by them that they won’t notice that they’ve been slammed. Check your bill to make sure that only your chosen long distance carrier is billing you for long distance service. If you’ve been slammed, chances are that you are paying more for long distance service than you would have paid to your own company—you can refuse to pay the additional charges imposed by the slammer, and complain to the CPUC or the FCC. Watch out for charges on your bill for services you haven’t ordered or authorized. This practice, know as cramming, is done either by your local company, or another company that bills for its services on your long distance bill. Consumers all over California have been crammed. In fact, people are sometimes charged for services that they have expressly turned down. One reason cramming has become so prevalent is dense and confusing phone bills which are difficult to understand. Thanks to TURN, the rules changed in 2011. Phone companies will be required to investigate companies that add charges to phone bills, ensure the legitimacy of customer authorizations, and provide detailed reporting on cramming incidents. More importantly, phone companies will ultimately be held responsible for refunding all unauthorized charges, a necessary counterbalance to the revenues they earn from 3rd party billing. Make sure the only companies listed on your bill are ones you have expressly ordered services from. One clue is strange codes like “ZPDI” or USBI” on your monthly bill. Examine the numbers or services below any such codes very carefully, and challenge any that you have not expressly authorized and used. Make sure the charges are consistent with the prices you were quoted by the company. If you weren’t informed in advance of a listed charge, call the company to complain. Check your bill for services charges you did not make! If you have been crammed, you have the right to demand that the unauthorized charges be removed from your bill. If your phone company and the crammer refuse to do so, file a complaint with either the FCC (for interstate phone charges) or the CPUC (for phone charges within California).